Optolite Clear HSR optical grade filters offer a robust, high temperature, high scratch and impact resistant material. 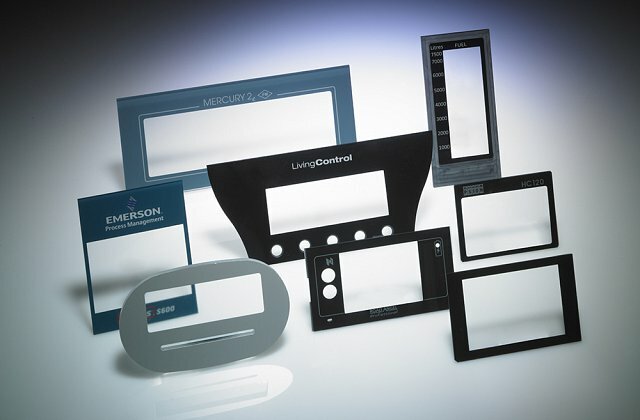 It is especially suited to LCD’s and other display applications where these characteristics are of a particular importance. – can be subject to damage from scratching, dirt, moisture, finger marks, etc. Keyflex offers their Optolite Clear HSR (High Scratch Resistant) filter to overcome these problems on LCD’s. It is also especially recommended in display applications requiring the characteristics mentioned below. Optolite Clear HSR has both outstanding abrasion resistance, up to 20 times that of acrylics, and excellent impact resistance. It is also chemical resistant, being immune to the effects of virtually all common solvents. It is lightweight, approximately half that of glass, and exhibits optical properties comparable to crown glass. Its maximum continuous operating temperature is in excess of 100°C. Optolite Clear HSR is available with selected optional cast-in non-glare finishes to overcome front surface reflections. These finishes can improve readability whilst offering advantages in that they cannot chip, peel or rub off. Optolite Clear HSR is cast in-house down to 0.5mm thickness for applications where maximum viewing angle is required or where space is at a premium. Thicker filters are manufactured for when impact resistance takes priority. Tight thickness tolerances are supplied for specialised applications. An optional Ultra-Violet inhibitor is also available to restrict potentially harmful UV rays when certain displays are operated out-of-doors in strong sunlight conditions. A further option incorporates a blackened stainless steel mesh for electromagnetic shielding. Full edge termination service is available. These mesh filters typically give a protection of 60-70dB over the frequency range 100KHz to 1GHz. Effective shielding is becoming increasing important with the introduction of new legislation. In applications where bright LED’s cause “burn out” or uneven illumination of display, Optolite™ Diffusers soften the light and give an even illumination. Keyflex also offers full silk screening services. A silk screened border onto the reverse side of the filter and perhaps incorporating a logo, provides an attractive and inexpensive way of producing a bezel. This may also enhance the aesthetic appearance of the system. Double sided adhesive tape can be used for attaching the filter quickly and easily to the display. To view technical data tables please click the image below.